VERSATILE - 2 tier stackable pans allowing for variety of foods to be cooked simultaneously. Great for steaming vegetables, meat or fish. Doubles as a dessert pan to make cheesecakes or use as a lasagna pan. 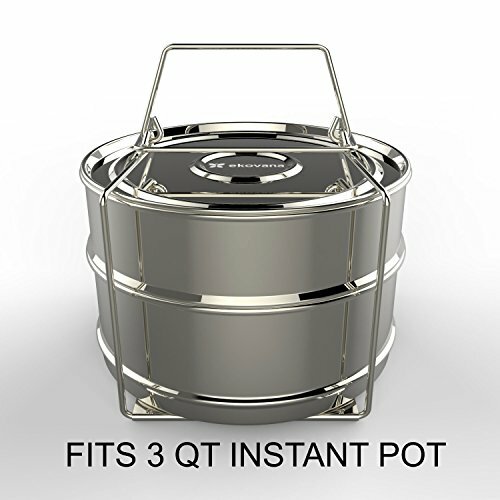 Useful for pot in pot cooking. Perfect for reheating food without sacrificing taste and texture, also use as container for storing food. HEALTHY & CONVENIENT - Skip the microwave ovens and reheat leftover food or curry in your cooker to preserve the nutrients and vitamins. Reheat two dishes together and save time!